By creating each of our titles on two reading levels, we are able to facilitate differentiated instruction in a classroom–reaching both your proficient and struggling readers with the same book. That’s right, the same book on two different reading levels! This allows students with varying reading proficiencies, but similar interests, to read the same book. 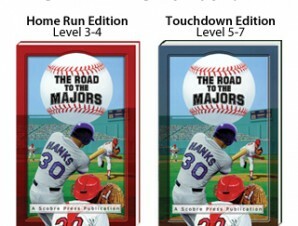 How are the Home Run Edition and The Touchdown Edition different? Difficult vocabulary has been eliminated from all Home Run Edition books. Sentences are less than 15 words in length in all Home Run Edition books. The font size for Touchdown Edition books is smaller-12 point. The font size for Home Run Edition books is larger-14point. 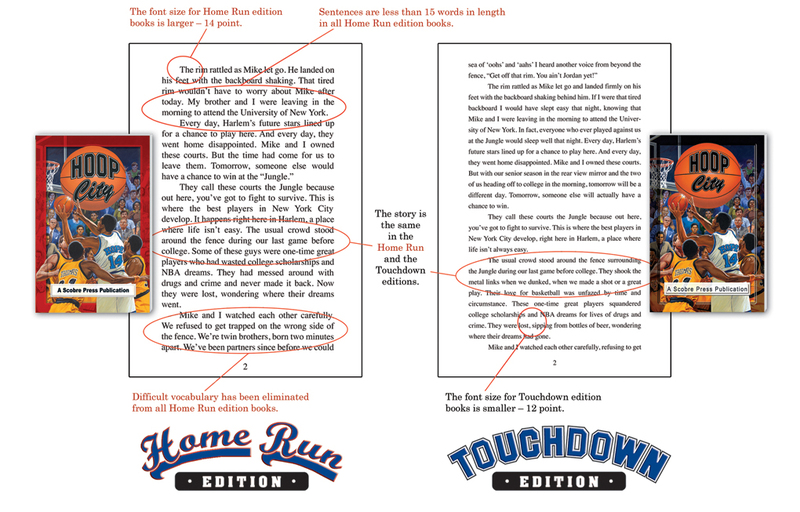 The Touchdown Edition books are about 10,000 words longer than the Home run Edition books. The story is the same in the Home Run and the Touchdown Editions. 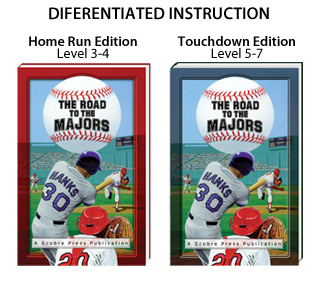 The reading comprehension and discussion questions are the same for both the Touchdown and Home Run Editions, to enable differentiated instruction.